*Please present coupon during write up. Cannot combine with any other offer or towards previous service. Valid only at INFINITI of Modesto. Plus tax and hazardous waste fee. Genuine INFINITI Oil Filter supplied. Up to 5 quarts of non-synthetic. Lube as necessary. Some models additional. INFINITI vehicles only. Please present coupon during write up. Cannot combine with any other offer or towards previous service. Valid only at INFINITI of Modesto. Plus tax and hazardous waste fee. Genuine INFINITI oil filter supplied. Up to 5 quarts of synthetic oil. Lube as necessary. Some models additional. INFINITI vehicles only. Please present coupon during write up. Cannot combine with any other offer or towards previous service. Only valid at INFINITI of Modesto. WITH 4 YEAR* PRO-RATED WARRANTY. *Please present coupon during write up. Cannot combine with any other offer or towards previous service. Does not include battery installation. Only valid at INFINITI of Modesto. REMOVE AND REPLACE BRAKES WITH OEM REPLACEMENT BRAKE PADS. INCLUDES RESURFACING ROTORS. Please present coupon during write up. Cannot combine with any other offer or towards previous service. Valid only at INFINITI of Modesto. 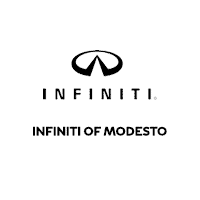 INFINITI of Modesto	37.6994356, -120.9936815.